For 2017, the Yukon adds General Motors’ Teen Driver feature, low-speed forward automatic braking, an upgraded rear-seat entertainment system, and a handful of other new features. The 2017 GMC Yukon is one of many General Motors full-size SUVs. It tries to cut a path between the opulence of the Cadillac Escalade and the workaday feel of the Chevrolet Tahoe by focusing on what really counts in a premium vehicle. It offers a sophisticated design and a higher level of features than most mainstream models, but without the in-your-face bling and excess of most luxury vehicles. The 2017 GMC Yukon features the latest in a long line of General Motors V8 engines. They give it towing capabilities unrivalled by car-based crossovers with smaller engines, but still manage to achieve fuel economy that’s in step with the times. Yukon SLE and SLT models come standard with a 5.3-liter V8 that produces 355 horsepower and 383 pound-feet of torque. 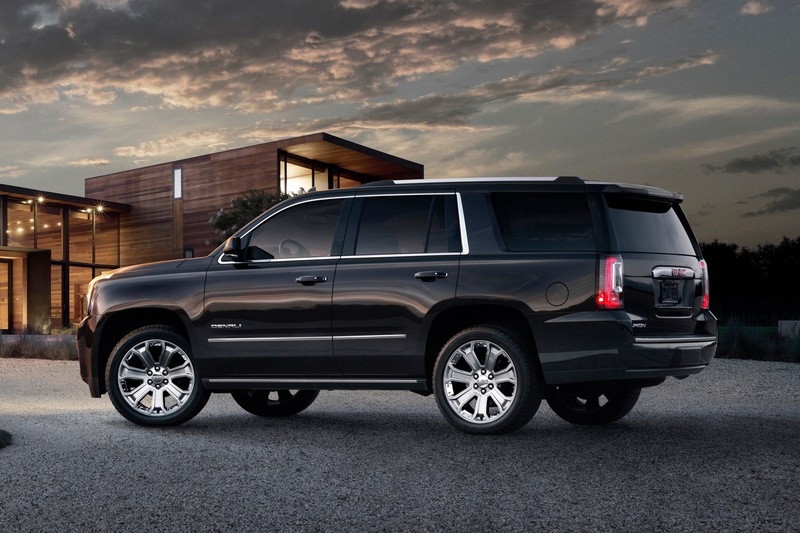 All Yukon engines feature GM’s Active Fuel Management cylinder deactivation, and eight-speed automatic transmissions. Rear-wheel drive is standard, with four-wheel drive optional. The Yukon Denali model features a 6.2-liter V8, with 420 hp and 460 lb-ft. It also has smooth power delivery that’s a perfect match for this more luxurious version of the Yukon. 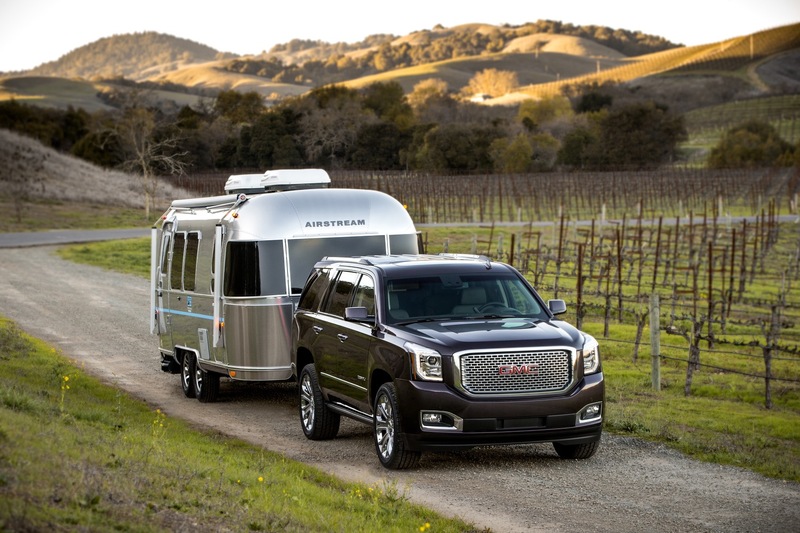 GMC says models equipped with the 5.3-liter V8 can tow up to 8,500 pounds, while 6.2-liter models can tow up to 8,400 lbs. EPA-rated fuel economy for the 5.3-liter V8 is 19 mpg combined (16 mpg city, 23 mpg highway)* with rear-wheel drive, and 18 mpg combined (16 mpg city, 22 mpg highway)* with four-wheel drive. The 6.2-liter V8 gets 17 mpg combined (15 mpg city, 22 mpg highway)* with rear-wheel drive, and loses 2 mpg in the highway category with four-wheel drive. GMC models come with a fairly high level of standard equipment, as reflected by the roster of features on the base Yukon SLE. Some of the highlights include fog lights, assist step, heated exterior mirrors, 18-inch wheels, remote start, tri-zone automatic climate control, leather-wrapped steering wheel, 4.2-inch driver information center, Intellilink® infotainment system with 8.0-inch touchscreen, Bose® premium audio system, and OnStar® 4G LTE with built-in Wi-Fi hotspot. In addition to the applicable standard equipment from the SLE, the Yukon SLT adds a power tailgate, auto-dimming rearview mirror, power adjustable pedals, power tilt/telescopic steering column, heated steering wheel, heated second and third-row seats, heated and cooled front seats, wireless phone charging, and Intellibeam headlights. 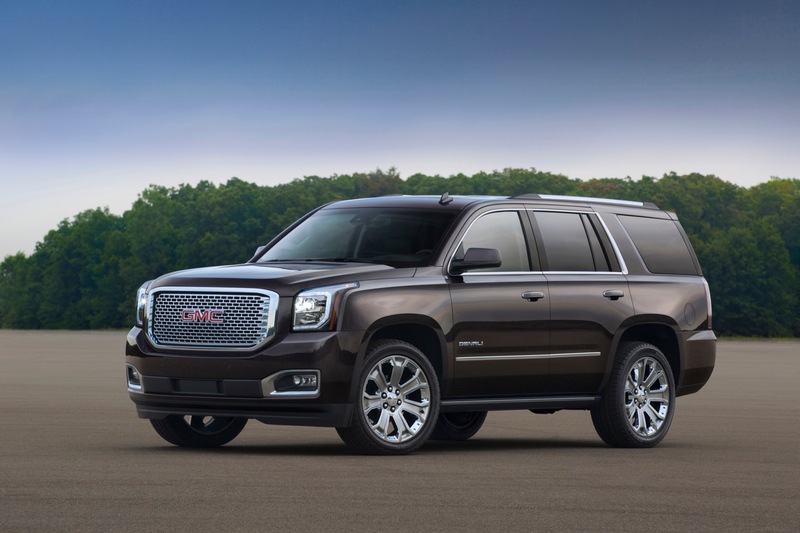 GMC reserves the Denali name for the most luxurious versions of each of its models, including the Yukon. The Yukon Denali includes a special grille and other model-specific exterior trim, plus navigation, second-row bucket seats, and more. Options include a rear-seat entertainment system, power sunroof, and 22-inch wheels. The 2017 GMC Yukon wears the same handsome styling introduced for the GMC full-size SUV lineup for the 2015 model year. Unlike previous generations, designers were given more leeway to differentiate the SUV sheet metal from that of the full-size pickup trucks these vehicles share a platform with. Those designers took full advantage of that. The current-generation Yukon has a much more sophisticated look than previous models. At the front is a big, bold grille, flanked by upright headlights that tape back elegantly into the front fenders. A crease runs from the tips of those headlights all the way to the back, defining the lower edge of the windows, and adding some visual interest to the sides of the vehicle. Wheels sized up to 22 inches are available. 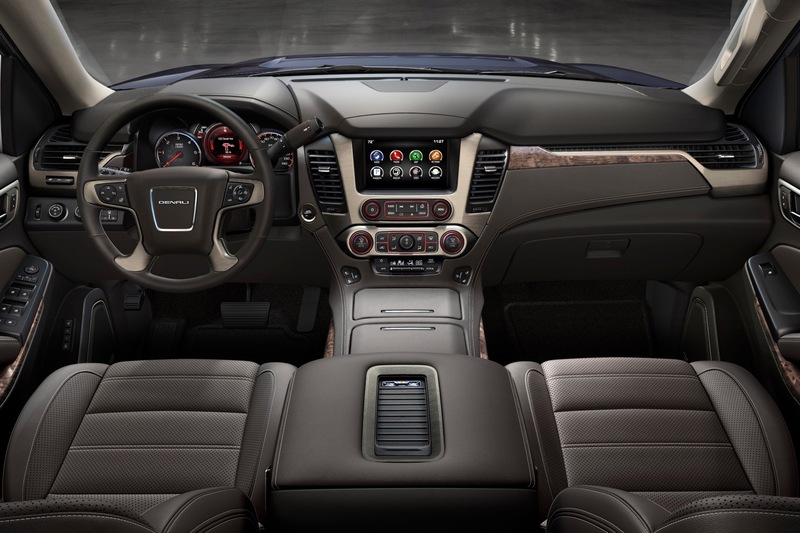 GMC prides itself on offering a higher quality of interior materials than more mainstream brands. The Yukon’s interior does indeed have a high-quality feel, separating it somewhat from the related Chevrolet Tahoe. The current-generation Yukon also features a more elaborate dashboard with a sloped center console that puts controls within easier reach. Tech features include the latest version of GMC’s Intellilink® infotainment system, controlled through an 8.0-inch central touchscreen display. The system now includes Apple CarPlay® and Android Auto™ smartphone integration and, like most General Motors models, the Yukon is offered with a built-in WiFi hotspot (separate data plan required). Standard safety equipment on the 2017 GMC Yukon includes anti-lock brakes, stability and traction controls, park assist, and a full array of airbags. Optional features include forward collision alert, Safety Alert Driver Seat, lane keep assist, low-speed forward automatic braking, rearview camera, adaptive cruise control, rear cross traffic alert, and side blind zone alert with lane change alert. The 2017 GMC Yukon is a more sophisticated take on the full-size SUV.